We all have OTP’s. Whether they are in movies, TV shows or books, we all have couples who we think are destined to be together, whether they are canon or not and we often express our love for these couples in strange and wonderful ways. In our lives, we’ve had many OTP’s, so we thought we’d share some of them with the OTP book tag! An Unpopular OTP that you ship. Sarah: Luna and Neville from Harry Potter Series by J.K. Rowling – I’m that one person in the world who was extremely happy by this change to the book. I know so many people who hate Neville and Luna together, and I admit that it seemed like such a ridiculous idea to pair off every character at the end of Deathy Hallows. But thinking about it, Neville and Luna are a cute pairing. I’d love to see more of them. An OTP you didn’t ship but now you do. 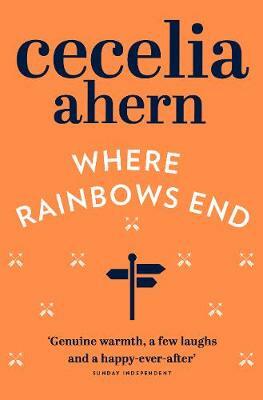 Sarah: Will and Rosie from Where Rainbows End by Cecelia Ahern – I didn’t ship this on the pure basis that they were taking too long to get together. Their constant changing of minds and not admitting to their feelings for one and other frustrated me. They should be figured out a long time ago that they should be together. Sophie: Celia and Marco from The Night Circus by Erin Morgenstern – When I first began reading this beautiful book, I fell in love with many aspects of it, but the love between Celia and Marco wasn’t one. Throughout the novel however, their relationship began to grow on me and I realised that I really did want them to be together and found their relationship to be as magical as everything else within the story. Sarah: Harry and Ginny from the Harry Potter Series by J.K. Rowling – I don’t usually hate couples, especially ones that are actually together on screen or on paper. But i honestly cannot get on board with Harry and Ginny. I know most people feel the same way about them, so it makes my life a little easier. Sophie: Katniss and Gale from The Hunger Games trilogy by Suzanne Collins – I really do not ship Katniss and Gale. From the beginning of the first book in the trilogy, I only saw them as friends and nothing more. I suppose the fact that Gale is not a favourite character of mine influenced this too, but I just didn’t see a genuine connection between them. An OTP that took way too long to get together. Sarah: Will and Lou from Me Before You by JoJo Moyes – Considering we all know how this novel ends, i feel like it took Will and Lou way too long to actually admit their feelings for each other. I understand on Will’s part that he was just looking out for the love of his life. But Lou could have saved him. This left me incredibly frustrated. 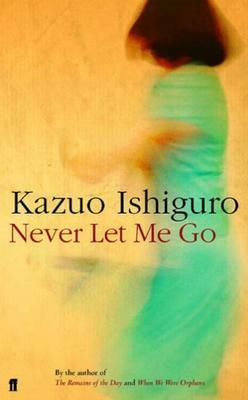 Sophie: Kathy and Tommy from Never Let Me Go by Kazuo Ishiguro – From their carefree childhood days to their complex young adulthood, Kathy recounts her memories growing up with Tommy and their friend Ruth. Seeing them grow together and apart in heartbreaking situations really affected me and so many situations could have been avoided if their true feelings could have been spoken earlier! Sarah: Maddy and Ben from You’re The One That I Want by Giovanna Fletcher – Maddy has to choose between Ben and Rob in this story, and in my opinion she chose the wrong one. I am patiently waiting for Giovanna to write another novel in which Maddy realises her mistake. Sophie: Marlene and Lynn from the Divergent series by Veronica Roth – I wouldn’t call these an OTP by a long shot but I honestly can’t think of a non-canon book OTP! However, these two were so close and after Lynn confessed to Uriah that she loved Marlene, I was more disappointed than I thought I would be that nothing ever happened! Sarah: Patrick and Charlie from The Perks Of Being A Wallflower by Stephen Chbosky – You simply cannot dislike these two together. They really are the best of friends and I get emotional every time I read (or see, the movie does exist) about them together. Sophie: Harry and Hermione from the Harry Potter series – I adore the very sibling like relationship between these two characters and seeing it develop throughout the seven books makes me pretty emotional. Harry puts it perfectly when he says “she’s like my sister” in The Deathly Hallows. They have a very protective and close friendship, never leave each others sides and are consistently there for each other. An OTP you adored in the books but not so much in the movie/film adaptations. Sarah: Tris and Four from Divergent by Veronica Roth – When I first read Divergent and Insurgent (no I’ve not read the final book yet, I’m forgetting it exists because I know the thing happens) I fell completely in love with Tris and Four. Four is such a caring character and the fact he chose Tris, and kept their romance private made me have a lot of respect for him. I was even excited for the casting of the movie. And then they messed up the movie. And then I was sad. Sophie: Percy and Annabeth from the Percy Jackson series by Rick Riordan – I absolutely adore the relationship between Percy and Annabeth and seeing them grow closer together as they get older. Their playfully sarcastic comments along with their fierce loyalty towards each other really is a great element to the series. However the films do not translate this at all and this is mainly due to the fact they should be 12 in the first film and not 20 acting 15. An OTP that no matter how hard you try to ship it, you just can’t. Sarah: Ron and Hermione from The Harry Potter Series by J.K. Rowling – I feel like most of my answers have been based around Harry Potter, but that’s probably just to the enormous amount of characters and pairings to choose from. I really can’t get my head around Ron and Hermione. Throughout the books and movies i found little connection between them romantically, i feel like it was forced. Sophie: Melanie and Jared from The Host by Stephanie Meyer – The Host is an amazing book with very three dimensional characters and intricate backstories. However, the relationship between these two main characters is dull in comparison to the rest of the novel and I find the difficulties with their love for each other quite annoying at times. Your all time favourite OTP. 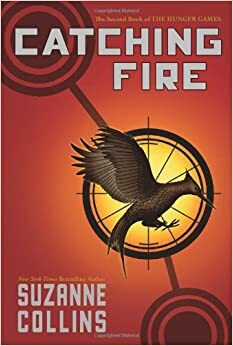 Sarah: Katniss and Peeta from The Hunger Games trilogy by Suzanne Collins – I’m completely in love with Katniss and Peeta. This was a really hard question to get a final answer for as there are so many OTP’s from so many books i adore (*cough* Ron and Hermione) but I settled with Peeta and Katniss and their obvious love. Sophie: Ron and Hermione from the Harry Potter series by J. K. Rowling – Sarah has already mentioned that she could have easily chosen Ron and Hermione for her ultimate OTP, and I completely agree. These two hold a special place in my heart as their relationship is the first one I ever really fell in love with. I remember reading the series and loving their interactions and their first kiss is probably the most brilliant of any fictional relationship. I never really was a fan of Neville and Luna as a pair because it seemed so out of the blue – one HP pairing I did love though was Neville and Ginny! They went to the Yule Ball together and Neville came in really late after everyone had gone to bed, and he seemed the happiest he’d been in ages and talked about dancing all night. I LOVE Neville so it was great to see him so happy, even just briefly! I also agree with Sophie that I didn’t match Harry with anyone whatsoever, hahaha. Hahaha, I was going to say, I’d be so sad if you disliked him!